If cat videos rule the internet, why can’t they rule the silver screen? That’s the plan as Cat Videos Live rolls out across the country. With its debut in St. Louis this week, Cat Videos Live aims to take our love of funny cat videos to a new level with a family friendly mash-up of feline film, cat comedy, and social gathering. 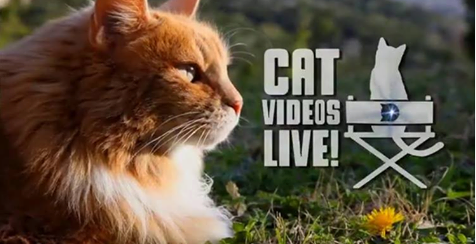 Cat Videos Live brings together cat videos, comedy and community into a joyous celebration of felines. 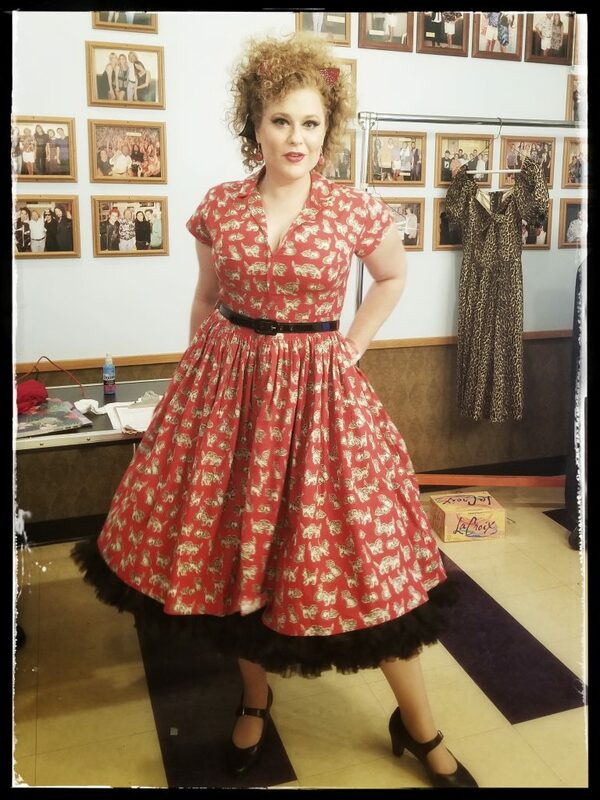 New York comedian Carla Rhodes hosts the show with zany good humor, appearing every bit the ultimate cat lady in a red cat print dress and cat ear headband. Cat Videos Live is series of videos clips expertly stitched together into thematic shorts and set to an upbeat soundtrack. Ms. Rhodes keeps the laughs rolling with a stand up cat comedy routine between the videos. The show is front-loaded with some of the funniest videos, including a hilarious compilation of “Things You Might See at a a Cat Show.” Not just LOL cat videos, the show includes a couple original mini-comedies that provide some of the best laughs of the night. Internet sensation Grumpy Cat brings star power to the lineup of never-seen-before cat videos. Know that Cat Videos Live is already on the hunt for the next great cat video star and is encouraging submissions. 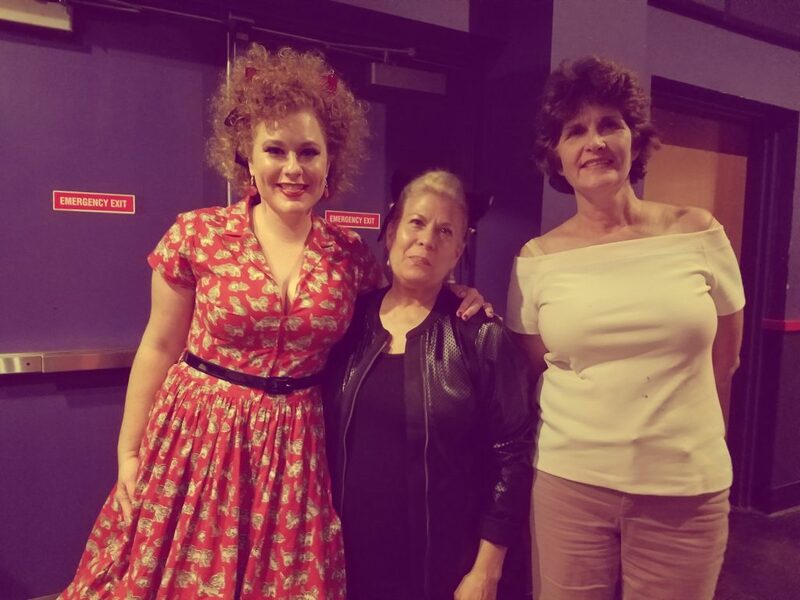 The show returned after intermission for an entertaining exchange with the owners of St. Louis’s cat cafe, Mauhaus Cafe & Lounge. They also showcased local rescue Stray Haven Rescue, who do heroic work on many fronts to save cats and are now working with Mauhaus Cafe to place more cats with fur-ever homes. Presumably this part of the show will change with each city. The show wrapped up with a long look at cats featured in Hollywood movies and cartoons. Honestly, who knew there were so many cats in movies? With the internet bursting with free cat videos, why pay $30+ to watch them on the big screen? Why, the cat people of course! 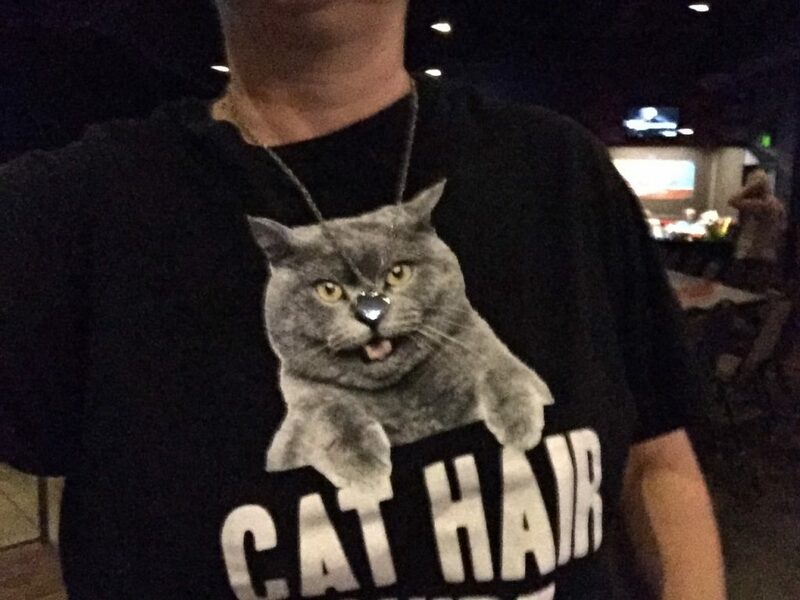 Outside of maybe Caturdays, you don’t get too many opportunities to put on your favorite cat-wear and cat-accessories to mingle with other like-minded cat folk. 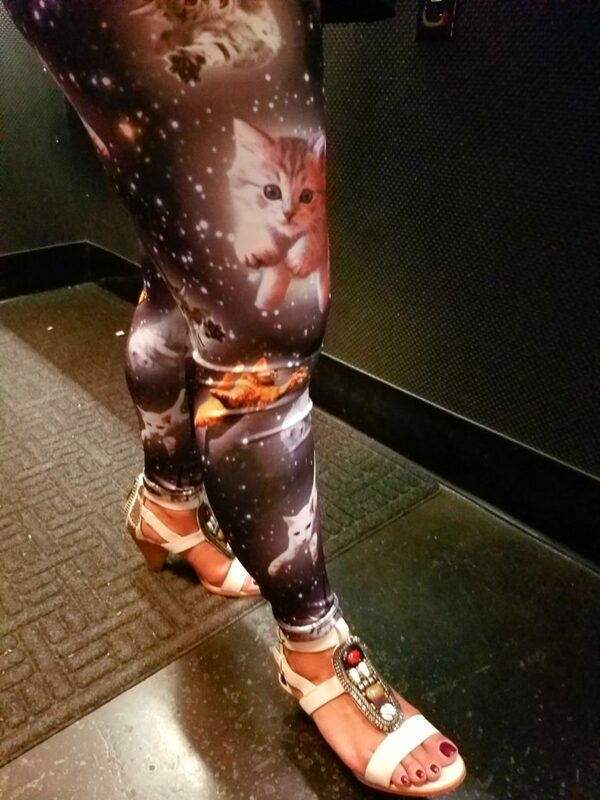 St. Louis cat lovers turned out in their best cat-themed wearables. One group of four friends were spotted sporting matching Meow t-shirts. While cat themed accoutrements are not de rigeur, they definitely add to the merriment. 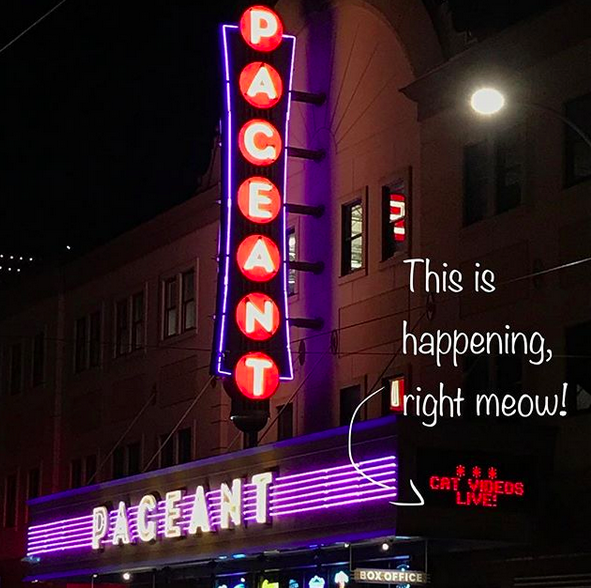 Cat Videos Live is coming to nine more cities in the next month: San Francisco, Seattle, Eugene, Portland, Salt Lake, Denver, Los Angles, Chicago, and Detroit! If you’re lucky enough to be in one of these great pet loving cities, put on your favorite cat t-shirt and go! [amazon_link asins=’B073QPY55Z,B01MT8FM84,B06XS9YLTR,B06WGMGQL9,B073QNRGWG,B071Z3WCYB,B01D0VLCXE,B0177YLJFG,B01M1RIHMO’ template=’ProductCarousel’ store=’thatcatlife’ marketplace=’US’ link_id=’00141f58-af5c-11e7-b419-9b9f717e918e’] Can’t get to the theater? Tune in now for Livestreaming kittens!